Altamura’s Focaccia is a tasty bakery product typical of the Bari hinterland. Good to eat immediately freshly baked and excellent even the day after. A reliable companion for picnics and to eat with friends and relatives! The original condiment is made with tomatoes, oregano, salt and extra virgin olive oil (also this place), but today you can find many variations on the market. This hand-made specialty, as it was in the past, has a simple taste and is obtained from the skilful use of totally natural ingredients and has its roots in the farming culture of the population of Altamura. 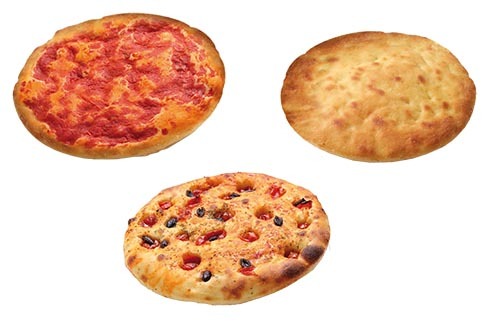 Healthy and natural ingredients, without adding additives and preservatives, make the NOVOFORNO focaccia a unique food, without cholesterol and 100% natural. consumer needs are available in many flavors such as: tomato, onion, coarse salt, cherry tomatoes and on specific requests of our customers also for PRIVATE LABEL.